The event was done in gusty 18-25 knots wind, with the conditions from nice swells rolling to do back loop, airchachoo pushloop and the last day finishing with just choppy flat water. My heats where not so easy, as the level of each sailor is great, so there's no mistake to be done. 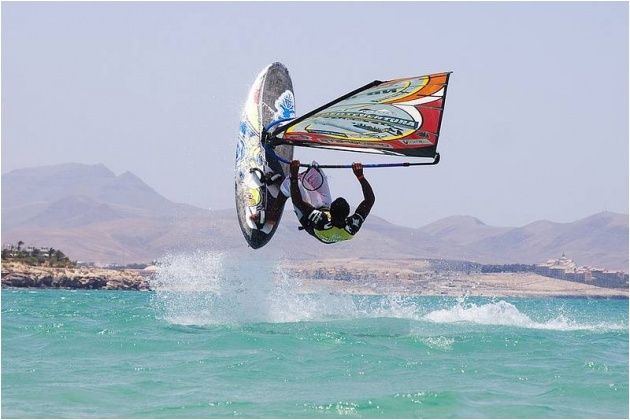 I'm not very happy with my 5th place in Fuerteventura PWA Grand Slam 2011. Cause I really wanted to make it to the podium this time, As i was performining good and I was looking forward to come back in the double. I did my best - the level was good but not untouchable. The hardest point is that many different freestylers are expected to win, so the mental condition is more and more important. During this event, I was rally motivated, positive and focused....the first days I was really good but some how I lost against Gollito to not make it to the Winners Final and got a 4th. But the last day I had bad luck as I was beginning to feel comfortable again and having a good vibe just when the downhaul rope broke just when the green flag went up. really blasting enough is was impossible to catch up to Tonky. 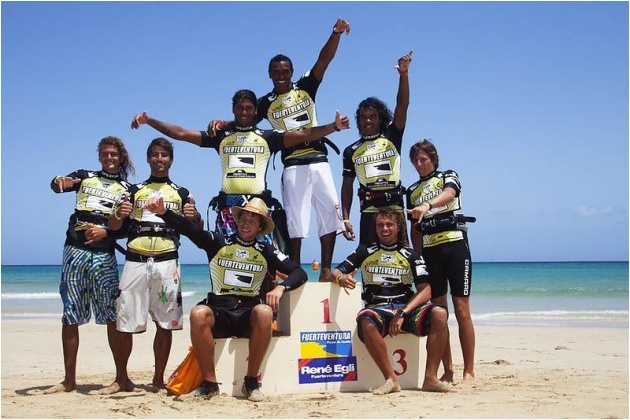 I lost it all losing against Tonky and finish 5th here in Fuerteventura. Maybe all this happen for a reason, but now I feel motivated I'm not giving up and I know I can do good. I'm really looking forward to win some events. The battle with Steven and Kiri was the mayor talk of the day when Kiri lost against Steven just 0,5 which was really not suppose to be like that, but I guess this was Steven lucky moment. With steven going to the finall against Gollito and beating him twice, gave him the 1st place in Fuerteventura and leading the tour and maybe even winning the title too. 5th Tonky equals with Davy. 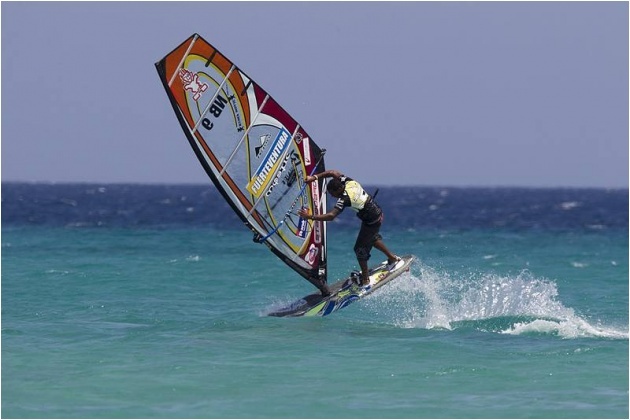 Still we have one freestyle event to go and the last one will be in september SYLT GERMANY GRAND SLAM. So I am looking forward to do good at this event.